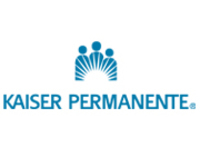 Fundamental Clinical & Operational Services, LLC, is seeking a talented Clinical Services Director (Regional Nurse Consultant) to provide consultation and support to a number of client skilled nursing facilities in the Reno/Sparks area. Use your long term care expertise to consult/train/troubleshoot! Responsible for assisting assigned facilities to comply with appropriate state, federal guidelines/regulations, in accordance with established company policies and procedures. Works with all facility departments to assist in planning, implementing and evaluating patient/resident centered programming. Assists facilities with the interpretation and implementation of policies and procedures. * Ideal candidate must be a skilled communicator, director and motivator. Able to organize and prioritize many tasks effectively. Previous Nurse Consultant experience highly preferred. * Able to react to emergency situations appropriately when required. * Graduate of an accredited school of nursing (RN) , BSN preferred with a valid NV RN license (or eligible for reciprocity). Must be able to travel by personal automobile. Facilities located in Northern Nevada (must live in Reno/Sparks area or willing to relocate).